Been meaning to try Kohlrabi in your garden? 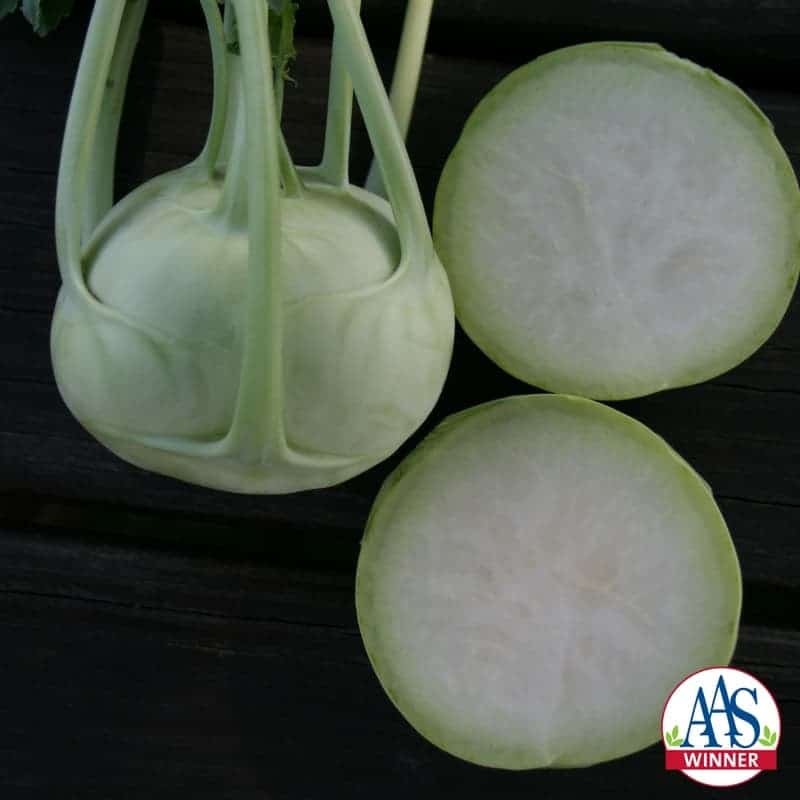 Our new AAS Winner Kohlrabi Konan F1 is the perfect choice for first-time kohlrabi growers as well as those kohlrabi die-hards. 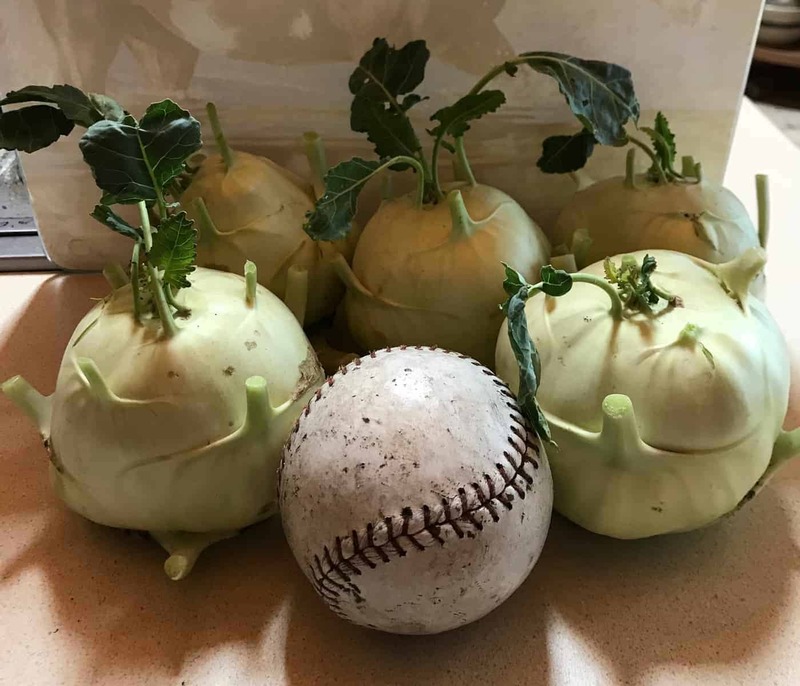 Konan was selected for it smooth, globe-shaped bulbs that can grow up to 6 inches in diameter and are the perfect upright size and shape for container gardening and garden plots. 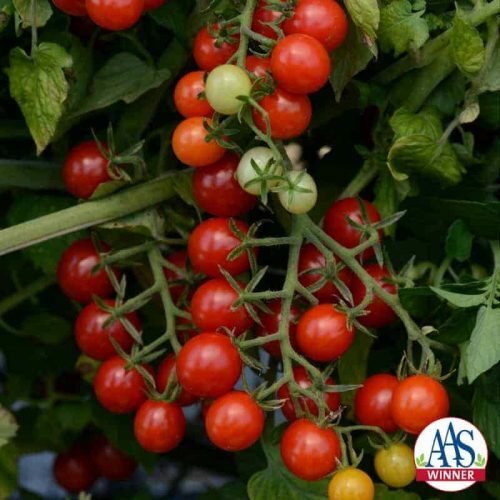 The upright, uniform leaves resist insect damage meaning the plant stays healthy all season long. 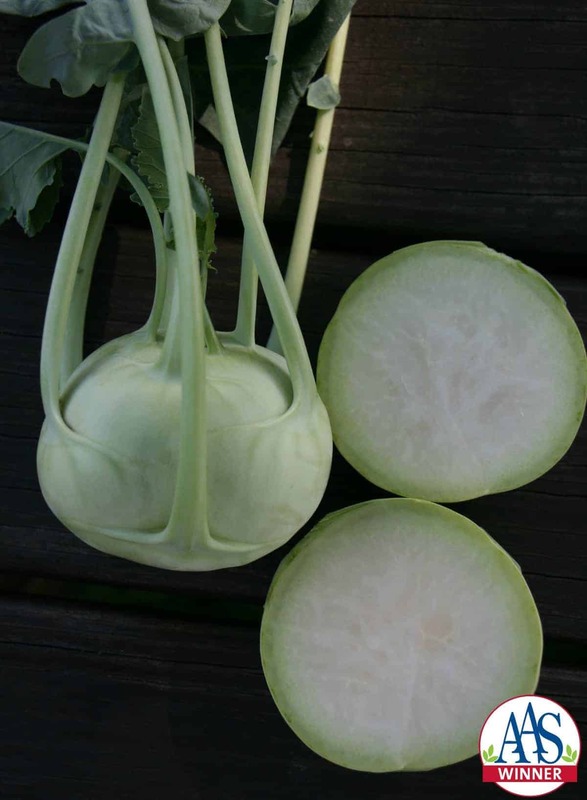 Of course, the best part is the sweet flavorful bulb that has an excellent texture making it easy to slice and dice. 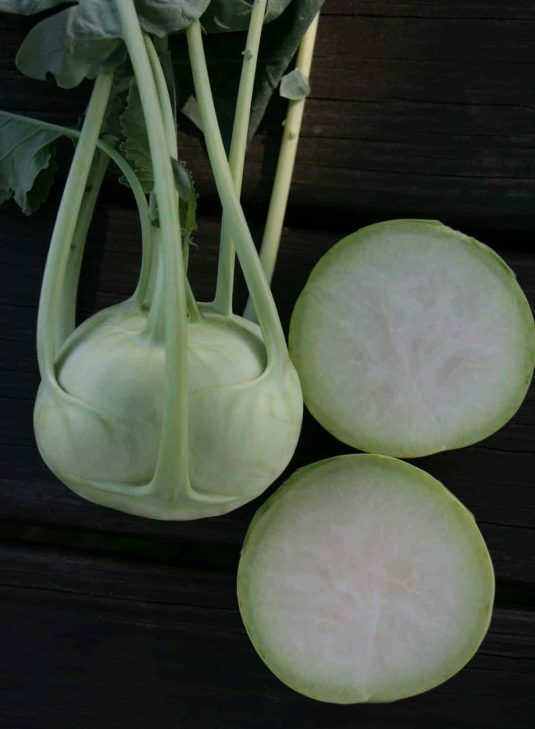 It’s time to try kohlrabi! 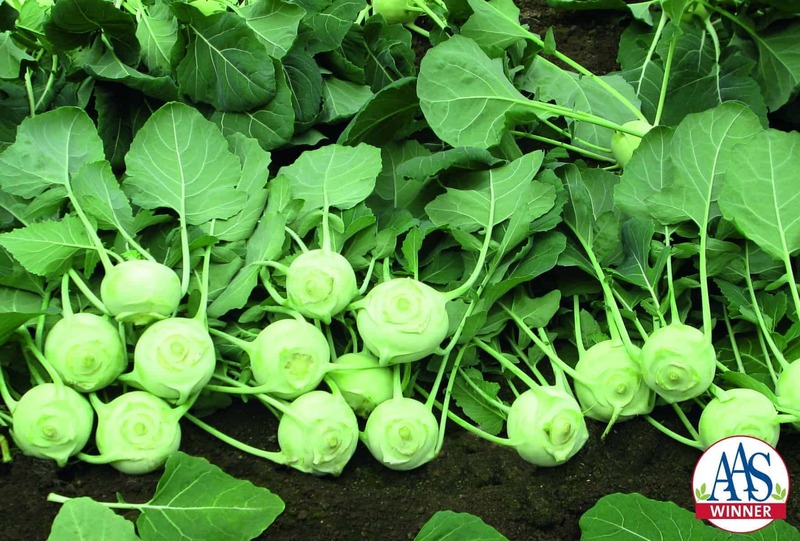 Disease Resistances or Tolerances: Good tolerance to leaf spots, thrips, cabbage worms. 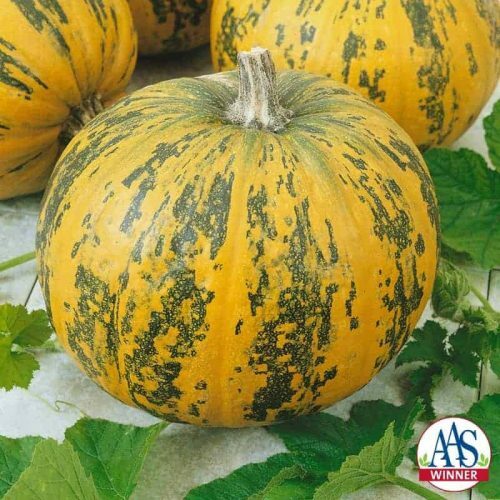 Sow seed about 4-6 weeks before average last frost, and two weeks apart for an extended harvest. 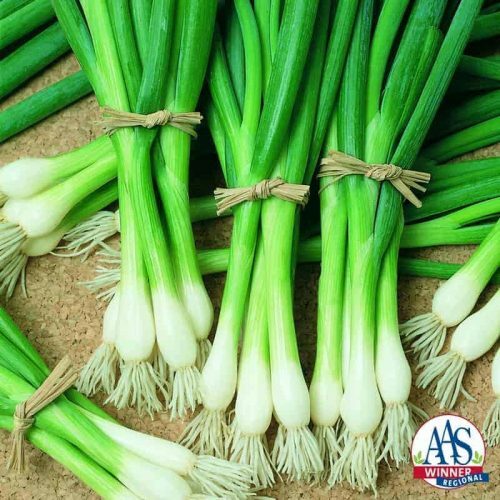 Sow ½ inch deep in rows 18 inches apart. Thin seedlings to 8 inches apart. 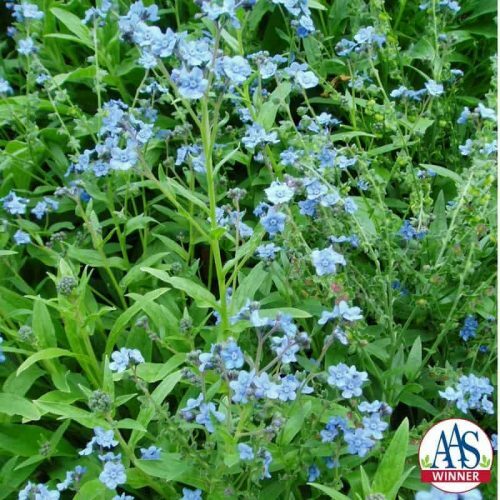 In warm winter areas, plant again in late fall/early winter. In containers, plant three seeds or one transplant per 12 inch wide container. 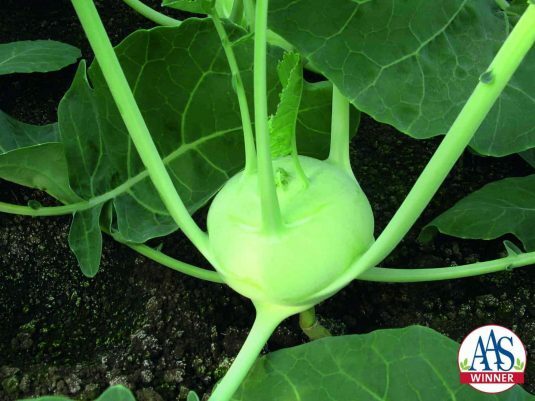 Keep soil moist. Feed with a complete fertilizer after planting seedlings. 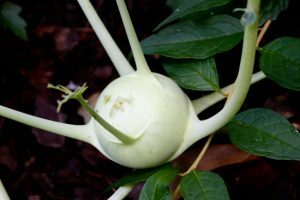 I grew Konan Kohlrabi in a container last year. It was easy to grow and delicious!